The MiniJet™ is designed to project a precision stream of water at a 45-degree angle of trajectory for a distance of up to 13 feet from the deck or under the coping. 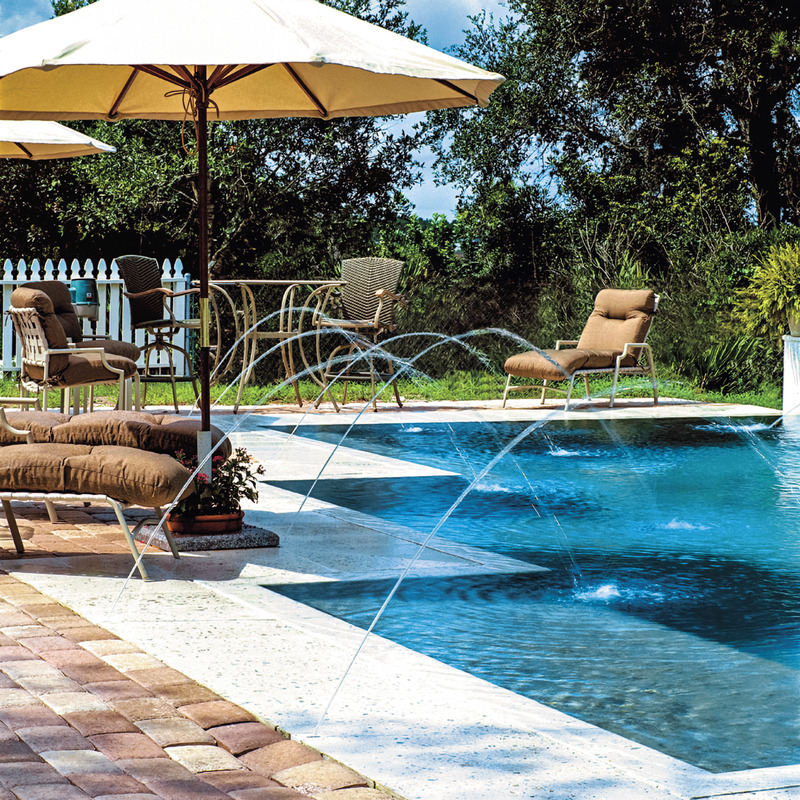 Available for in-ground and vinyl liner pools with colors that match the most popular pool finishes. MiniJets can be mounted in the deck or pool wall. The FlowControl MiniJet nozzle makes adjusting multiple jets simple. The MiniJet™ (FFMJ) is designed for mounting vertically in a pool wall slightly above the water level, or horizontally in the pool deck, wall cap, planter, etc.